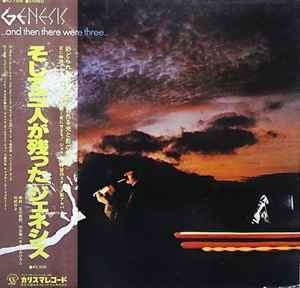 Japanese 1st issue in gatefold cover with obi & Japanese lyric/text insert. Manufactured and Distributed by Nippon Phonogram Co. Ltd., Tokyo. Recorded at Relight Studios Hilvarenbeek, Holland. Mixed at Trident Studios, London. Gatefold sleeve with printed lyrics inside. Japanese lyric sheet. Plain inner sleeve. I have this first jap issue and it sounds like crap. I've had it since 82' and really didn't notice it until spinning it a couple of years ago. The highs are way to distorted. Exact same deal with my Zeppelin House of the Holy jap pressing. The sacd genesis re-issues sound great, so I just listen to them, but would like a good vinyl copy, too. Any recommendations?